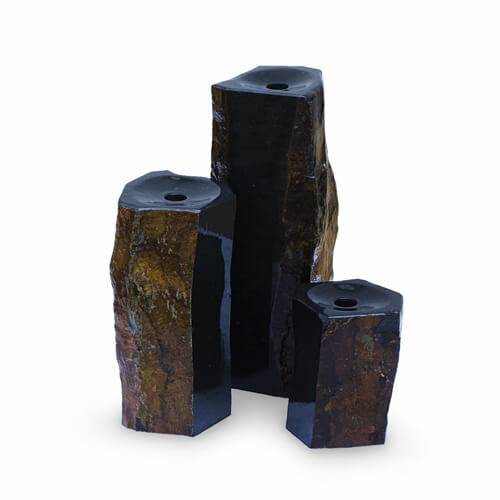 If you are looking for the most convenient way to bring the soothing sounds of falling water into your life, it doesn’t get any simpler than a Pondless Waterfall. Working much like a regular waterfall, the Pondless variety directs the cascading water into a deep rock- and- gravel-filled hole where the water collects and is pumped back up to the top of the fall. 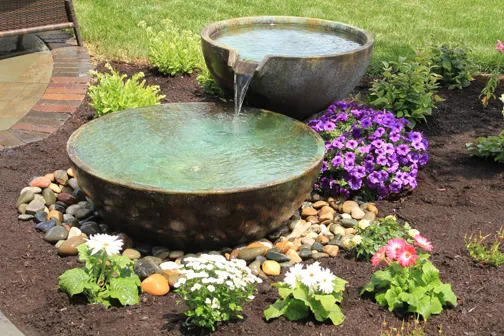 Because there is no pool of water, a Pondless waterfall is a great option if you’re concerned about safety issues associated with a traditional pond. An ecosystem pond is the most popular backyard water feature . An ecosystem pond offers a low-maintenance way to provide a graceful and environmentally friendly sanctuary for fish, wildlife and aquatic plants that works with, not against, nature. We design each pond to take advantage of the natural features of your yard, and to reflect your unique sense of style. Waterfalls, streams, ledges and landscaping all add to the beauty and drama that a custom pond provides. Which backyard water feature is right for you? Contact us and we’ll be happy to work with you to create your own outdoor paradise. And be sure to check out Aquascape’s video on a backyard and patio renovation.